This post is a paper I wrote for school, hence the more formal tone. First John begins with a startling juxtaposition. 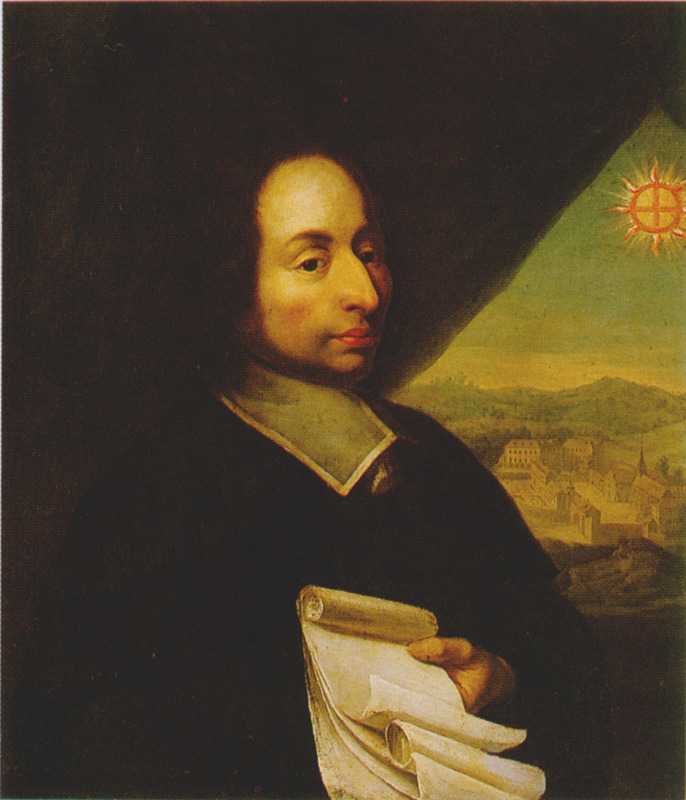 “That which was from the beginning, which we have heard, which we have seen with our eyes, which we looked upon and have touched with our hands, concerning the word of life… (1 John 1:1)” The juxtaposition is this: that the eternal being who “was from the beginning,” has entered time and space and is the Word of life who tells us that “our joy may be complete. (1 John 1:4)” The Gospel presents a hopeful world in part because it declares that there is something beyond the here and the now–eternal life coming from the eternal Savior Jesus Christ. The Greek epic The Iliad displays a different world, one in which hope is fleeting and tragedy is the only inevitability. This despair is a major theme within The Iliad and it stems from the Homeric concept that there is nothing beyond the here and the now. Against this, the Christian worldview provides a deep and lasting comfort. As W.H. Auden says, “The world of Homer is unbearably sad because it never transcends the immediate moment.” Auden is right, of course, but there is a nuance to add. Within the Homeric worldview, the gods do transcend the present. Despair stems from the fact that no human can hope to achieve this same transcendence. Auden calls this a tragic “flaw in the nature of existence.” What, exactly, is this flaw? Why does the worldview of The Iliad lead to such despair? What, if anything, does Christianity offer to the characters of The Iliad? The problem becomes evident in the 6th line of the poem. Homer says that the violence and death caused by the rage of Achilles was “the will of Zeus…moving toward its end. (1.6)” From the outset the poem is set in light of Zeus’ final plan. What happens is ultimately due to the orchestration of the gods. or command you to the field where men win fame. Neither Glaucus nor Agamemnon hope to escape the fate of the gods. They do not hope because they cannot. Zeus’ plan will be accomplished regardless of their actions, and fate will have its way. Though they yearn for peace and life they can have none because they are trapped by their mortality. Their lives–with all their hopes, dreams, fears, and joys–are mere pawns in the hands of the gods. Perhaps this is nowhere more poignantly evident than at the death of Hector. Athena deceives him into believing that a Trojan warrior, Deiphobus, is by his side as he charges the raging Achilles. She disguises herself as Deiphobus and claims to have come to help him because “the heart within me broke with grief for you. (22.288)” She urges him on, promising to fight side by side against Achilles. Emboldened by this promise Hector charges, but when he calls to Deiphobus for another spear to throw at Achilles, Deiphobus is nowhere to be found. and the fighter cried aloud, ‘My time has come! At last the gods have called me down to death. he’s safe inside the walls, Athena’s tricked me blind. Why can’t Hector simply turn and run? He answers the question. though often before now they rushed to my defense. The moment is charged with despair and tragedy. Hector all alone, the bloodthirsty and near-unstoppable Achilles approaching, is deceived by the gods he worships. He has no chance of escape. Death surrounds him, and his only prayer is that his battle with Achilles will be remembered. John’s gospel begins similarly to his first letter. “In the beginning was the Word, and the Word was with God, and the Word was God. (John 1:1)” The characters in The Iliad would share this idea. There are gods who exist immortally. There is something beyond the here and the now. But the Greek and Trojan worldview lacks what comes next. “The Word became flesh and dwelt among us. (John 1:14)” Their worldview lacks any hope that they can transcend the present moment, or that they can be rescued from the fate that controls their every move. As Auden says, in this world “one is happy, one is unhappy, one wins, one loses, finally one dies. That is all. (Auden 18)” Within the Homeric worldview mortals are locked in their mortality. They cannot escape it. They must fight with everything in them to be remembered for there is nothing more that they can do. The immortals are comfortable to watch at a distance without offering a way of escape. While the gods work within the here and the now, they never enter it, so to speak. They never subject themselves to it. The eternal and the temporal remain two separate realms. One does not enter the other. But this is fickle hope. Divine care is no more than a whim, as another writer observes. The Iliad itself reveals that human care is no better. When Hector speaks to Andromache after returning from the battle she pleads with him to stay within Troy. Hector refuses, knowing first that he must defend his wife and son, but also that he has no hope for victory or survival (6.481–6.600). All too soon his care will pass away. This is the flaw in the nature of existence that leads to such unbearable tragedy. To return to First John, the Greek gods are “from the beginning,” but they have not been heard or seen or touched, and they certainly offer no word of life to complete the joy of mortals. This is not to say that Greek culture is deistic. On the contrary, the gods are extremely involved in everyday life. But the gods never subject themselves to the here and now. They are bemused spectators who, at best, jump into the fray for fun. Even proud Achilles understands this: “the Immortals spun our lives that we, we wretched men/ live on to bear such torments–the gods live free of sorrows. (24.613–24.614)” This is a worldview devoid of lasting hope. The eternal sits comfortably to the side, and no temporal being can ever transcend the present. Christianity offers an antidote to this despair because it declares that the eternal has entered the temporal. Current circumstances are not the sum total of human existence because the Word has offered the words of life. Jesus says, “Come to me, all who labor and are heavy-laden, and I will give you rest. (Matthew 11:28)” Mortality is not an inescapable trap within Christianity. There is no need to fight to be remembered because eternal life can be gained. The Iliad recounts a terrible war. The Homeric worldview offers no hope to anyone within the war. If they do not win glory they will be forgotten. They cannot transcend this moment of battle. Christianity offers a radically different hope. It declares that eternity has entered history and a greater war has been won. Now, for those who follow Jesus, there is hope beyond this moment–hope that tragedy will give way to joy, that suffering will be conquered by happiness, that death will surrender before life. Randon Billings Noble, writing recently for the LA Review of Books, discussed the idea of Reading Security. This, if I understand it correctly, is basically another way of phrasing the issue of escapism in literature. In other words, what happens when books, when reading, becomes an escape from the real world? This is a very interesting paragraph. A standard question is raised: what happens when we realize that the lives we live barely resemble the novels we read? What happens when books become an escape, and we begin to dislike the real world? We should confine ourselves to dealing with the real world, with sophisticated problems and mature ideas, and not try to escape from it, goes the anti-escapist reasoning. Why would escapism be a desirable thing? 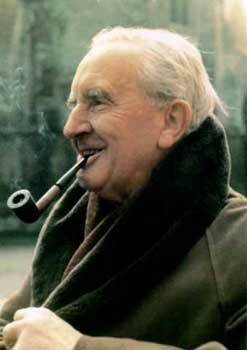 Tolkien here was writing from a worldview that said that there was a world beyond our own, a world beyond the prison. This world was a world that fulfilled the longing we all have, a world where jailers and prison walls were no more. This world was a home, not a jail. Tolkien says there’s nothing wrong with escapism in this sense because we are trying to escape to where we really belong. In other words, books provide us a glimpse of this real home, and so there’s nothing wrong with escaping to it. Noble gives the same answer as Tolkien: no, escaping to another world in a book is not necessarily wrong. But Noble has a very different reason. I want to ask the question, is a three-year-olds’ world really so unsophisticated? Or if it is, why is that a bad thing? Why would we want to escape from that? As G.K. Chesterton points out, young children are fascinated with the mundane in life–they wonder at everything around them. They don’t walk outside at night and treat the moon and the stars nonchalantly. The moon and the stars are not just there, the moon and the stars are wonderful, intricate, stunning things. It is only when we get older, according to Chesterton, that we lose the wonder inherent in these things. If one were to combine Tolkien and Chesterton, one might say this about escapism: those who have lost an ability to wonder at the mundane, to see the reflections of another world in our own, ought to escape. There is nothing wrong with wanting to go home, but home may look less like the “sophisticated” world Noble speaks of and more like a three-year-olds’ world. Complex characters and elaborate language aren’t necessarily bad, but they may not actually be any better than the simple beauty of a child building a sand castle on the beach. The echoes of the home Tolkien speaks of are all around us but they become a bit harder to see, according to Chesterton, when everything is about unceasing analysis and complexity. When we take things like the world we live in, and try to act “grown up” by dealing with so-called substantial issues and real problems, I think Chesterton would tell us to stop. Before we deal with “important” issues, let’s just step back for a minute and acknowledge the fact that we are tiny creatures, sitting on a large rock, with explosions at the center, hurtling through space at 66,000 miles per hour, around a giant ball of fire. And we want to be sophisticated. Can we just stop for a moment and wonder at the fact that we even exist? The real world may not be so different from a three-year-olds’ world. A world where the sun rising every morning is a wondrous thing. A world where the joy of something simple, like a trampoline, leads to constant repetition of that thing. Ignoring this quote is, I think, a mistake. 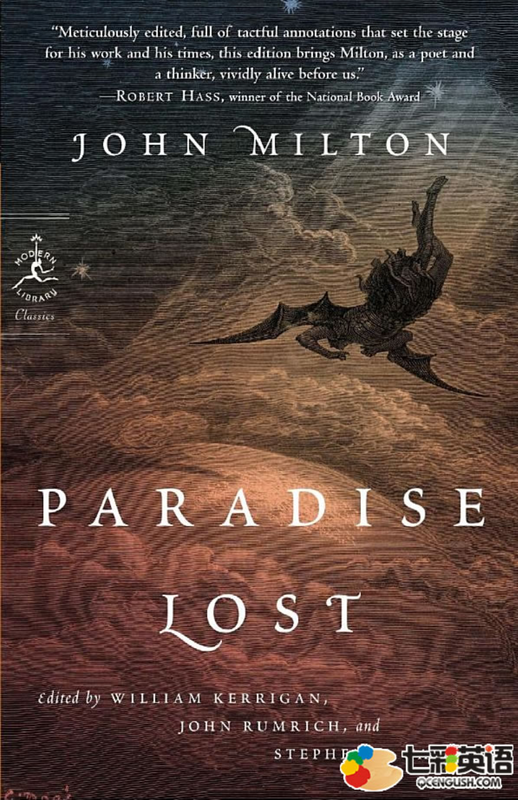 Not only does it set the tone for the story but thinking of Frankenstein through the lens of Paradise Lost provides a perspective that emphasizes one very interesting aspect of the story. See, Paradise Lost is, as we all know, the story of, well, paradise being lost. It’s the story of Adam and Eve’s fall from paradise–from Eden. Frankenstein, I want to argue, tells this same story over, and over, and over again. The entire story of Frankenstein, in one sense, is the story of a fall from Eden and the violent, stark aftermath of that fall. 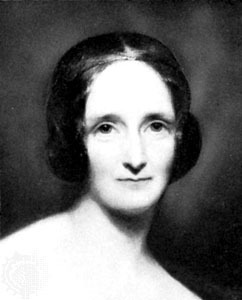 I may be, in arguing this, stepping outside the bounds of authorial intent (though I wouldn’t be surprised if Shelley did intend this), but from a Christian perspective, looking through the lens of Milton’s classic, I think these observations aren’t that far out there. So what are the paradises and falls that occur in Frankenstein? Regardless, Walton is detailing his exploration of the uncharted Northern seas. He’s taken with the thrill of adventure and discovery as he fulfills his dream of sailing through unknown waters. In other words, he’s living in the paradise of his dreams. He’s happy and excited regarding what is to come. The only problem is that he’s lonely. He’s living his dream–living in his paradise–and yet he’s lonely. Maybe this is pushing it, but that seems to hearken back to Adam’s own dissatisfaction with Eden–Adam lived in paradise, but he was alone. And that, as God said, was not good. Walton soon meets a friend in Victor Frankenstein, and Victor begins to tell his story. Here we see the second paradise emerge. Victor paints the picture of his childhood as idyllic. He’s given free reign to explore and learn, and he immerses himself in reading outdated scientific works. In this we see a subtle set-up of another paradise. Not only is Victor perfectly happy, enjoying life with his friends, but he also is plunging himself into mastering the works of outdated and incorrect scientific theories. He does master these theories and thinks he has gained an immense amount of scientific knowledge. Victor is devastated. He’s lost the paradise of knowledge he thought he had. But his fall isn’t to end there. Because, as quickly as he falls from one paradise he enters another. He applies himself to new studies, becoming skilled in modern science. He begins work on the creation of a new life–the creature. This work doesn’t last long, though. His complete devotion to this project is a paradise. He is fulfilling a childhood dream as well, just like Walton. Visions of his creation worshiping him, honoring him as a god fill his mind. And then he brings the monster to life and is revolted. He was in a place of perfection. He discerned nothing wrong or harmful with what he was doing–in his mind, he was in paradise. Then, when he finally completes his project, he sees what the creature really is and his supposed paradise is lost. But Victor’s fall isn’t complete. That happens when the monster kills his nephew William. Then, it seems, Victor’s innocence, Victor’s perfect childhood, is shattered by grief. It’s only expanded when someone else is blamed for William’s death and executed. Victor has fallen from paradise and finds himself lost in a world where he has unleashed destruction and evil. But the creature has his own fall. See, after Victor deserts him, the creature is angry and frustrated but not murderous. He runs off, taking shelter in the woods until he comes upon a small hut in which lives the De Lacey family. According to the monster, this family is, though they are poor, in paradise. They love each other, they get along, they care for each other. The monster, too, is in paradise, beginning to fancy these people as his friends. Although he doesn’t let them see him, he watches them all day and night. He chops firewood for them in secret, providing them with food and warmth. The creature has a vision of coming into the hut and greeting the family, explaining all he has done for them, and becoming close friends with them. The creature perceives no fault and no flaw. He is in paradise where he thinks he has friends, and he thinks the De Lacey family is also in paradise. And then, in what must be one of the most tragic moments of the book, the creature reveals himself to the family and they drive him off, revolted by his hideous appearance. The family is traumatized and so is the monster. He feels betrayed and alone–he’s run into reality and his paradise is lost. So is the family’s. Their trauma tears them apart, forcing them to move out for fear of the creature’s return. The creature watches as they pack up and leave, their perfection shattered by him. As they ride away he sees his innocence fade into the distance. In a moment of rage he burns their hut down, torching the last physical reminder of the paradise he lost. Near the end of the story Walton also loses his paradise when his crew refuses to go on, forcing him to turn back under threat of mutiny. Thus, Frankenstein is, it appears, the story of fall after fall. First Victor, then the creature, then the De Lacey family, and then Walton. In the rest of the story, after the fall of the creature, both Victor and the creature spend their time longing for what they’ve lost. The creature longs for the comfort of friends that he found in the De Lacey family. Victor longs for the return to the idyllic world of his youth through the destruction of the creature that ruined it. There’s a lot going on, thematically speaking, in Frankenstein. I personally wouldn’t dare to make the claim that the loss of Eden and the longing for its return is the main theme, but I think there’s enough evidence to support the conclusion that it is a theme. Because, even after all the characters have fallen from paradise they’re still haunted by Eden. Eden won’t let them go. None of them search in the right way for this paradise, but all of them search. 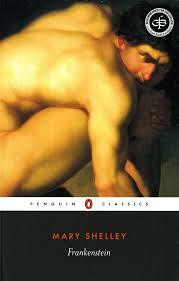 It seems the story of Frankenstein is a retelling of the fall, and humanity’s subsequent striving to regain Eden. It seems Frankenstein tells the story of us all, and that story is the story of a longing for a land we lost. Tolkien was right. All stories are about the fall. And they’re about the fall because our whole being is soaked in a visceral sense of exile from Eden. Eden haunts us, and Eden haunts our stories.